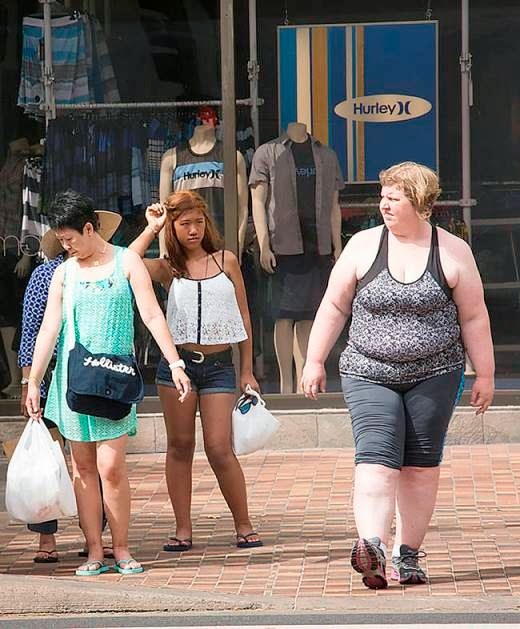 Living in a world obsessed with thinness and slimming, overweight people can easily find themselves on the fringes of society. 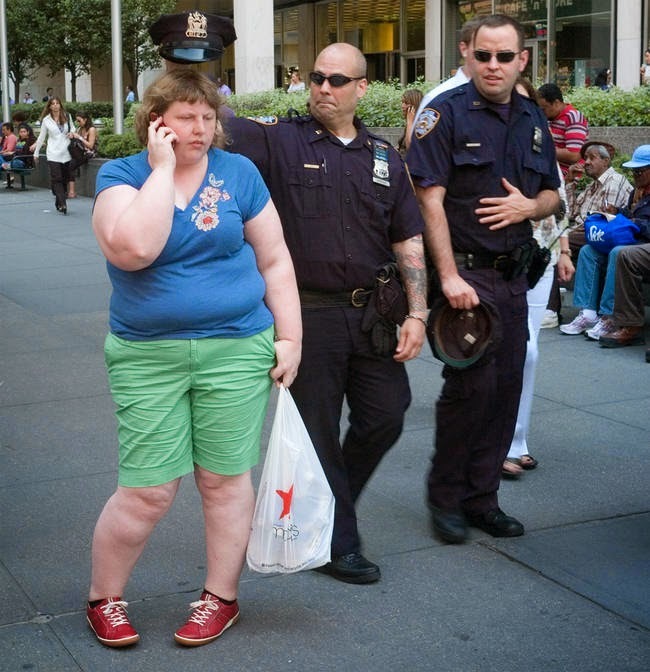 People's disrespect towards corpulent individuals is often widely expressed while being in public. Haley Morris-Cafiero, a photographer and Assistant Dean at Memphis College of Art, has long been aware of strangers making fun of her behind her back. She decided to make an art project to raise social awareness on the issue, in an effort to reveal the indecency behind people's derogatory looks. 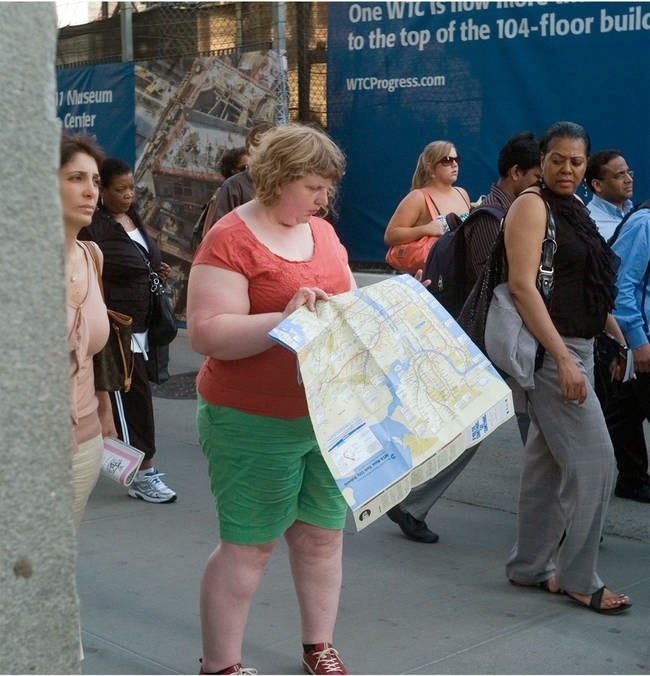 The Wait Watchers, is a series of photographs captured in public spaces by Haley herself, with a self-timing camera. In these pictures, she is posing in a way that's hard to tell she's being photographed. 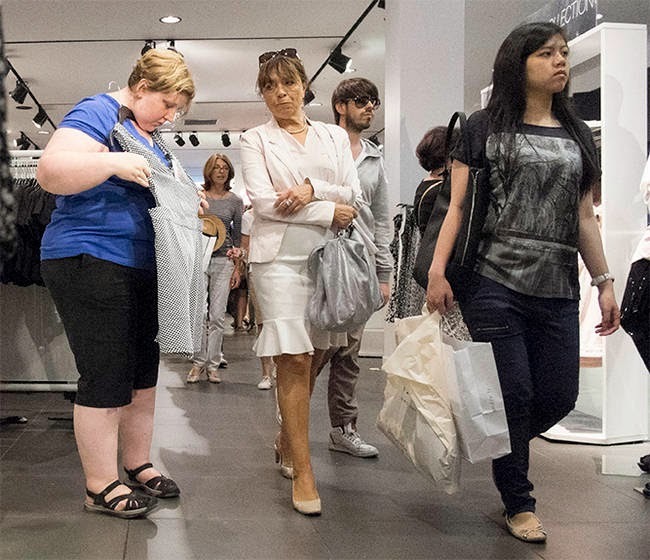 Even though she is acting 'normal', you can easily spot some passerby side-eyeing her for her size. 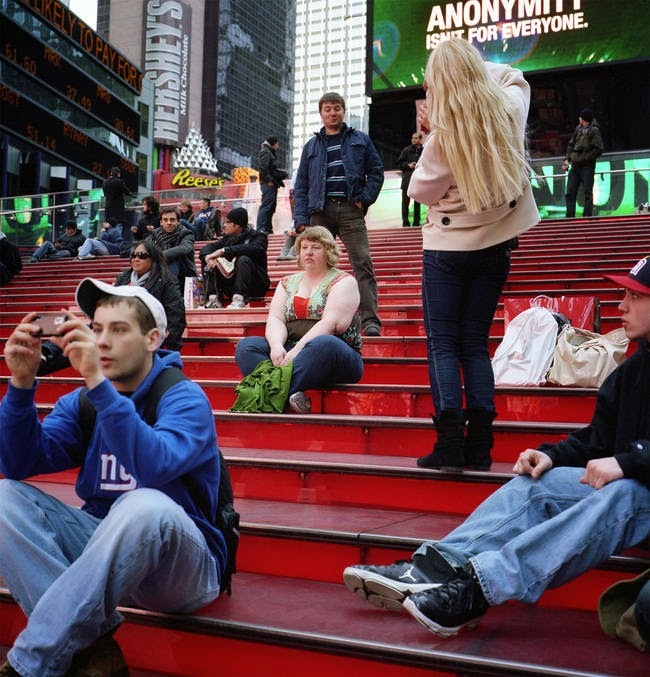 The idea came to her while working on another project, for which she made a self-portrait sitting on the steps of the Times Square. 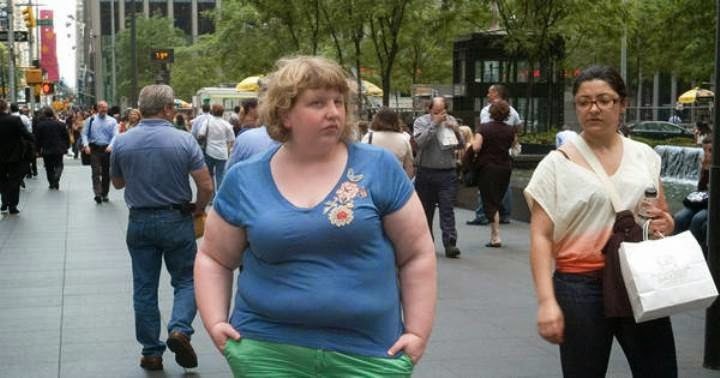 While going through her pictures, she noticed a man secretly posing behind her, making a face at her while being photographed by his girlfriend. Impressed, she describes the incident as follows... "Even though we're in the sensory-overload capital of the world and he's being photographed, he seems to be fixated on me." From then on, instead of retreating from the public eye, she started posing deliberately in order to expose people's judgmental attitude. "I'm very interested in how society uses the gaze to communicate their emotion, then how we, in turn, interpret the way people look at us," she comments. 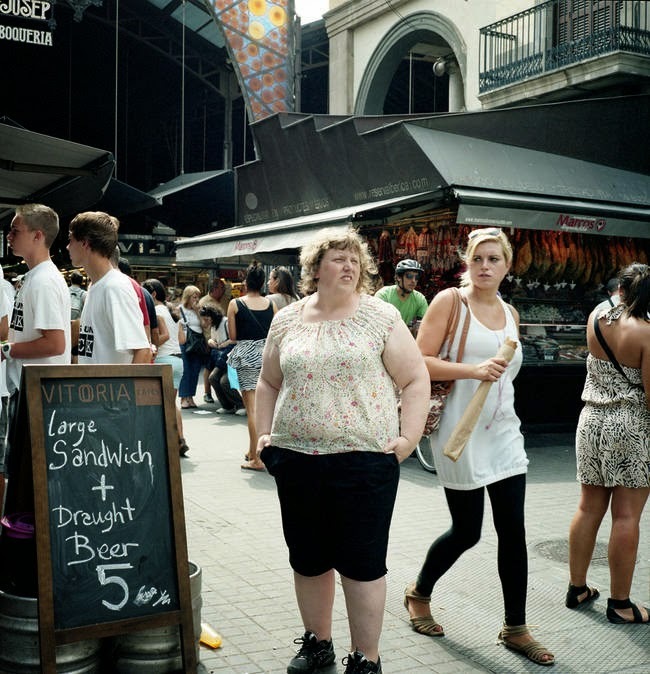 The project captures the society's gaze at an overweight woman, thereby hoping that all people get a deeper awareness of issues such as the body image or the cruelty towards larger people that the artist has experienced first-hand. Since it became available online it has received both positive and negative -sometimes insulting- reviews. As she states, she was even told that her life and in some cases the world, would be better if she lost weight and got a makeover (!). Morris-Cafiero ignores the insulting remarks... "I don't care what anybody thinks about my body and I'm perfectly fine with it." "We all know that haters are going to be haters," she says to her audience in the Wait Watchers Kickstarter video. "But as I celebrate myself, I hope you learn to love and celebrate yourself as well."